DESILVA, Ron Palena ‘Ole Ka’ike O Kelii “Palena”, age 31, passed away at home on Wednesday, October 23, 2018. 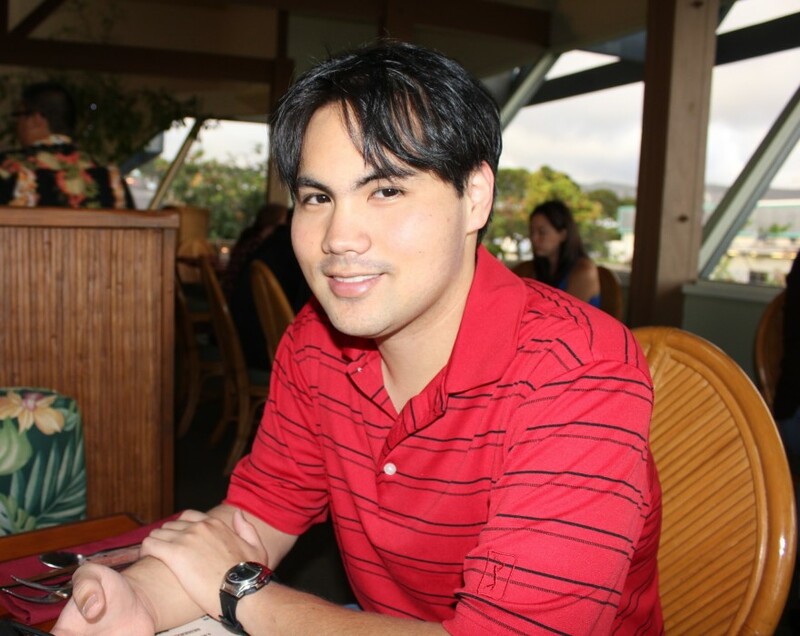 He was a graduate of Kapolei High School in 2005 and on April 15, 2014 he received his Degree of Associate in Applied Science Information Technology with an emphasis in Network Systems Administration. Ron worked at Foodland, CVS Longs Drug, Ito En and State Farm Insurance as a contract system Analyst. Ron “Palena” was born on May 8, 1987. Survived by his parents Ronald & U’ilani DeSilva. Sister Desire (Jay, Jevin & Jaela), new Baby nephew Drakar “Palena Boy” his namesake, Brother Desmond, his fur baby Tazzy, Grandma Frances Grandpa Ken Robb, & Grandpa Frank & Dhora DeSilva. Palena was a smart, caring, patient, & very loving person. He enjoyed playing videos with friends, listening to his favorite band Lincoln Park and watching his favorite Anime’s “sword art online” & “death note”. He loved to travel especially to Japan and enjoyed eating at various ramen restaurants, Gyu-Kaku, & Ruth Chris Steakhouse. Funeral services will be held on Wednesday, December 5, 2018 at Waipio - Mauka Chapel, Mililani Memorial Park Road at Ka Uka Blvd. Family will receive friends from 5pm to 6:30pm & Services will begin at 6:30pm to 7:30pm. The family would like to express their warmest thanks to our family & friends for helping with the services & loving support. Flowers are welcomed, please contact funeral director at Tel: 1-808-677-5632 ext. 1 for drop off instructions. Condolences may be sent to uilanid@gmail.com.